The first bus departure depends on ship passenger disembarkation time. 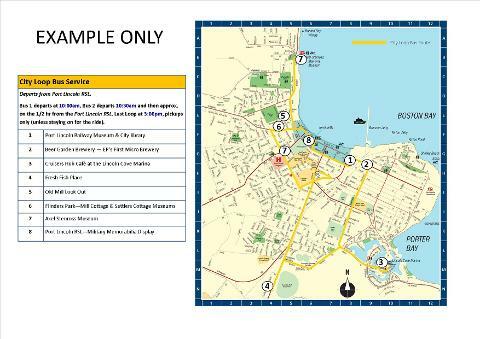 There are 2 buses and they will continue to go around the route for the day, with the last loop at approximately 3pm. You are welcome to get off at any stop. The Port Lincoln Railway Museum: has preserved the history and nostalgia of a time when the railway line was the vital lifeline for the region. The Museum has an extensive collection of memorabilia, photographs, and historical documents covering the railway history of Eyre Peninsula. a tasting paddle. Opportunity to purchase some delicious local food for lunch. Cove Marina: From here you can walk around the Marina where you can view the largest commercial fishing fleet in the Southern Hemisphere, visit the Fisherman’s Memorial and also have the opportunity to enjoy local food and a beverage from the Marina Hotel or Cruisers Hub Café. Fresh Fish Place- local fish processing factory, tours, & gallery: Guided tours available at $25 per person (approx 1 hour), or just check out the local fish on display, opportunity to purchase a variety of cooked, smoked or pickled seafood or some locally made souvenirs. Peter Teakle Wines from 12 noon: located at the award-winning Line & Label Restaurant. Here you can sample Peter’s outstanding wines and tour around the beautiful winery. Mill Cottage Museum: 10am to 3pm located in beautiful Flinders Park Old Pioneer home built in 1866 for Joseph K Bishop. Entry:Adults $5 Conc $4 Child 0.50. *By Request. *Some stops may differ due to unavailability. 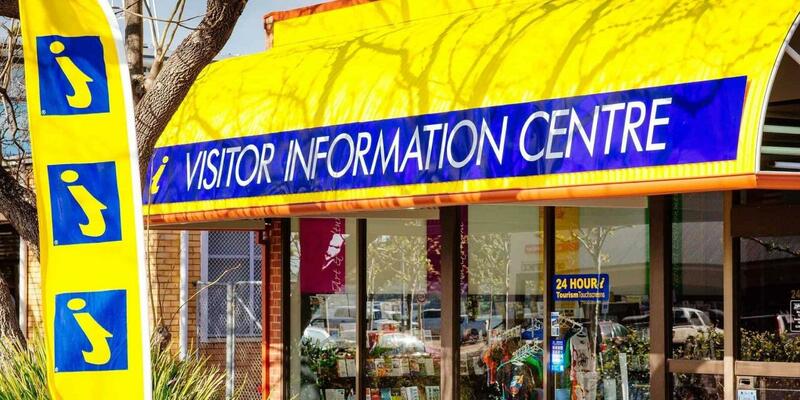 Please check with the Port Lincoln Visitor Information Centre for correct bus route on the day. *Online Booking fees apply. If you wish to avoid please call us on 1300 788 378.